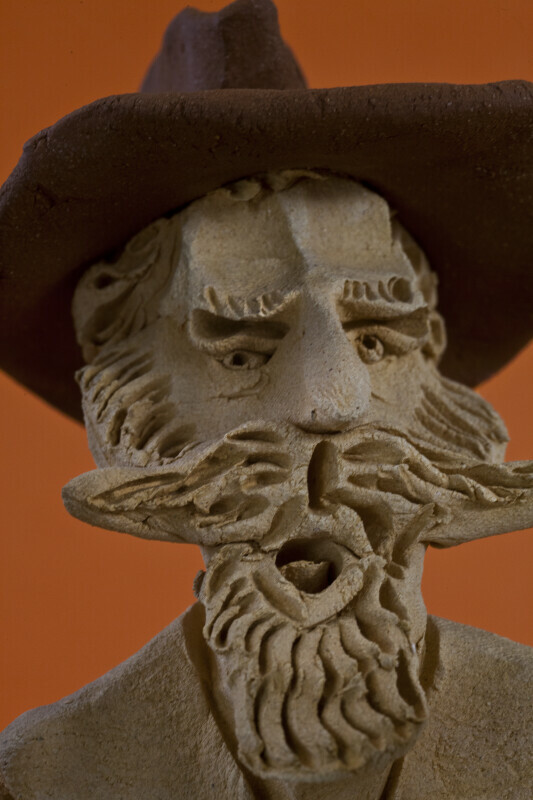 This extreme close-up of the miner, who is handmade from rough clay shows the details of his face, including his sculpted eyes, mouth, nose, eyebrows, handlebar mustache and beard. His hat is created from a darker shade of clay. This figure stands 8 inches (20 cm) tall.